With built-in arc fault detection, earth leakage current protection (RCD), short circuit and overcurrent protection (MCB) technology in one compact device, the AFDD+ can be easily installed on switchboards for new-builds or retrofitted in residential applications. Eaton General Manager, Power Distribution ANZ Dan Agnew says the AS/NZS 3000 electrical installations standard that mandate the use of arc fault detection devices for specific installations and the rising number of electrically ignited fires in New Zealand make it a good time for electricians, builders and owners to future-proof electrical installations and prioritise fire prevention and community safety. “Often hidden and hard to detect manually, arc faults can be caused by repeatedly pulling out cables by the cord, the crushing of trapped cables or even pet and rodent damage,” he explains. Already widely used in Europe and the US, the Eaton AFDD+ is the first IEC-based solution in the world to combine all three protective layers in one device. 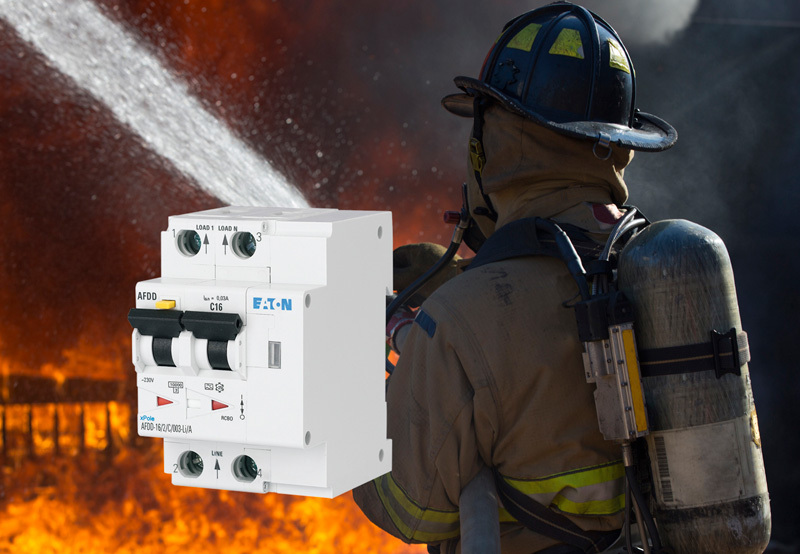 “Eaton is committed to developing globally leading technologies that help protect people and property against electrical fires – while simplifying switchboard design and streamlining the installation process for electrical contractors,” Agnew adds. The AS/NZS 3000 electrical installations standard has made arc fault detection devices mandatory in locations storing flammable materials or containing irreplaceable items, historic buildings constructed with flammable materials and school dormitories. The Eaton AFDD+ comes in multiple options ranging from 10 to 40 amps, with in-built 30mA Type A RCD. Devices come with a purpose-designed busbar comb for easy installation. A power management company with 2017 sales of US$20.4 billion, Eaton provides energy-efficient solutions that help its customers effectively manage electrical, hydraulic and mechanical power more efficiently, safely and sustainably.